The study looked at the list-to-sale time of homes on Trulia’s website, by measuring the median amount of time in which listed homes that were sold during a given period were on the market over a given geography while attempting to remove foreclosure and REO sales. For this study, Trulia looked at monthly intervals of home sales going back to January 2010. The study found that list-to-sale time on Trulia fell nine days in April from 77 days a year ago, continuing a trend of a falling median every year since 2010. In April 2010, the list-to-sale time for a typical home was 137 days. When it came to listed homes, at 57 days trade-up homes were moving at a very fast clip followed closely by starter homes at 59 days, and premium homes at 72 days. 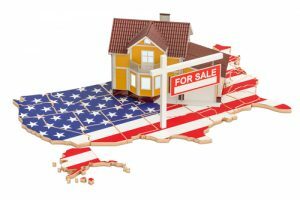 The study also found a great divide between listed homes on the east and west coasts, with homes on the latter moving off the markets faster than the east coast. As of April, the top cities where homes were moving the fastest were all being sold within 45 days or less of being listed on the market. Homes in Seattle, San Francisco, and San Jose moved at the fastest pace, 36 days of being listed, while places with the longest median days on Trulia included Syracuse and Long Island in New York where homes were active for a median of more than 125 days. Apart from the top three cities, homes moved the fastest in Florida, Pennsylvania, and New Jersey, Trulia said. The study also found that premium markets were on the market for a longer time, at 13 and 15 more days than a starter or trade-up homes respectively, to be precise. The only exceptions were homes in Detroit and Toledo, Ohio where trade-up homes stayed on the market longer than starter homes.